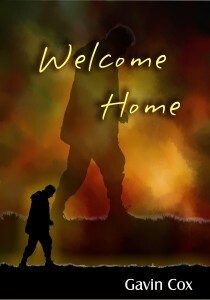 Welcome Home is an imaginative story-form contemporisation of Jesus’ parable of the prodigal son set in post-colonial South Africa. Truth is, His point is as poignant in our day as it has ever been. Many men and women are searching for spiritual realities, but for some Christianity is not really an option because they are convinced that they will be found unacceptable to God and shunned by the church. This short story is for them. On the other hand many a congregation is populated by self-righteous, angry and exhausted saints who have never grasped the good of the unconditional love and acceptance of God that comes to us only through Christ’s perfect work on our behalf. This short story is for them too. Jesus lived the sinless life we never could, received punishment for sin as our substitute, and makes righteous all who believe. That is the Gospel – the great, unconditional, unmerited goodness of God extended to all on the basis of Jesus’ work. This Gospel makes Father’s House a place of grace and celebration where all are welcome. Fantastic! What an amazing insight that Gavin has given to this story. He has added so much “feeling” to this story that one cannot help but come away “feeling” for the characters in the story. Highly recommended! In this contemporary retelling of the familiar biblical parable, author Gavin Cox vividly takes the reader into the grit of emotion experienced by all the central characters. This emotion translates the great gift of the Father’s love and unmerited grace that is extended to all who like sheep have gone astray. This is the perfect gift book to send to anyone needing encouragement to head back home. Dr John Victor Rautenbach.